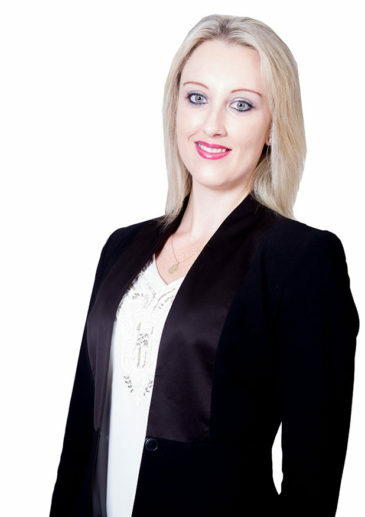 Lucinda Verster is a partner in our Johannesburg office Competition Practice. She specialises in all aspects of competition law and regulation and has experience across a broad range of business areas, sectors and industries. She advises and represents clients on prohibited practices, merger control, cartel investigations, corporate leniency applications as well as competition compliance and training programmes. She has been involved in a number of high profile matters before the competition authorities in South Africa and advised on competition law in various other African countries. Lucinda’s expertise has been recognised by Global Competition Review. She has LLB and LLM degrees from the University of Pretoria and a Certificate in Competition Law from the University of the Witwatersrand. Lucinda represented Nationwide Airlines in the first damages action before the High Court against South African Airways (which became settled) arising from a prohibited practice finding before the Competition Tribunal. She has also successfully represented Nationwide Airlines as co-complainant with Comair Limited against South African Airways in relation to ongoing abuse of dominance proceedings. This resulted in a second damages claim against South African Airways in which the South Gauteng High Court handed down a judgement in favor of Nationwide Airlines. The nature of Nationwide Airlines’ claim was accordingly the second of its kind to be brought in South African law and the first to be litigated, setting a precedent within South African Competition Law. She was also involved in the first excessive pricing matter to be fully litigated in South Africa. She has represented clients before the competition authorities on numerous mergers and acquisitions and was part of the team representing a client in merger proceedings before the Competition Commission, the Competition Tribunal, the Competition Appeal Court, the Supreme Court of Appeal and the Constitutional Court of South Africa. She has represented clients with international mergers that required notifications in South Africa, COMESA, Botswana, Kenya, Namibia, Swaziland, Zambia and Zimbabwe. Behavioral matters include advising PPC with respect to the corporate leniency process in the cement industry and advising Cape Gate with respect to the Commission’s investigations into the steel, wire and scrap industries. Lucinda has also assisted clients with compliance training to ensure compliance with the competition laws of other African countries. The Cape Gate Steel Referral was announced as winner of the Global Competition Review Behavioral Matter of the Year – Asia Pacific, Middle East & Africa Award during March 2014 and was also announced as winner at the African Legal Awards ceremony during October 2014 (Competition and Regulatory Team of the Year). Lucinda has been included in the Global Competition Review Top 40 Under 40 list for 2015, which features 40 of the world’s top antitrust and competition specialists under 40 years old. She is the only South African lawyer to be included in this elite group. Advised on the Nationwide v South African Airways matter which won the Global Competition Review (GCR) Awards 2017 Litigation of the year – Non-cartel prosecution: Creative, strategic and innovative litigation on behalf of plaintiffs in a non-cartel private action.